In recent years, the number of fatal overdoses (OD) from prescription painkillers and illicit street heroin has skyrocketed. Deaths related to prescription painkillers have increased 233 percent from between 2000 and 2012 and deaths related to heroin have increased 84 percent in the same period. In 2010, prescription painkillers were involved in more than half of the 38,000 US drug overdose deaths. When we last addressed this disturbing issue, the discussion was prompted to some extent by the OD death of actor Philip Seymour Hoffman in February 2014. But quite a while before that, the White House and the federal Substance Abuse Mental Health Services Administration (SAMHSA) officially endorsed the wider and more rapid use of naloxone, a highly-effective and safe narcotic antagonist. We discussed that measure in 2013. Like many other generic-type drugs, naloxone (Narcan) became more difficult to get a hold of and more expensive as well. Now, New York State Attorney General Eric Schneiderman has negotiated a deal with Amphastar Pharmaceuticals, the maker of Narcan, to allow for state agencies (including law enforcement) to get a partial rebate on the $40 per dose price, easing access for budget-strapped community emergency response teams and police. 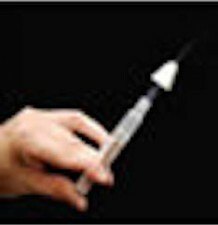 The drug can be administered nasally, or intramuscularly or intravenously, and works to reverse opioid OD within seconds, while causing no side effects or interfering with treatment of other conditions that might cause respiratory depression. Having such a remedy is absolutely essential for immediate-response teams that might be called upon to attend a comatose or obtunded patient. ACSH s Dr. Gil Ross had this comment: This is clearly a win-win for the state and for public health. Still, the twin facts here the rapid rise in price for this crucial generic drug, and the need for a state official to strong-arm a private company into changing its marketing tactics makes me uncomfortable. But we cannot afford to stand on ceremony when so many lives are at risk: this is a good thing, and AG Schneiderman deserves praise for this intervention, as he does for his investigation of the supplement makers we covered earlier this week.